SDA members and architecture students Caitlin Dippo and Katrina Matejcik co-authored this post. 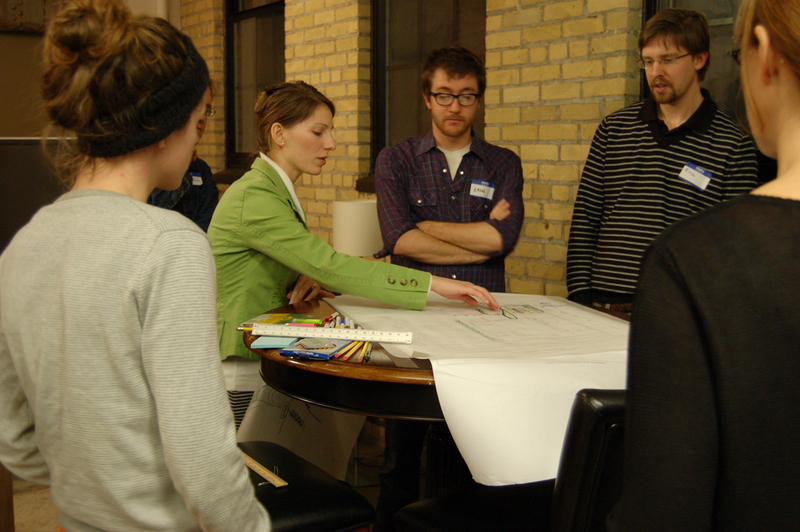 Sunday evening, Students for Design Activism met at CW Lofts, a creative community in Northeast Minneapolis, to host a charette. We brainstormed ways to redesign “Outlot B” and other open areas around the lofts. SDA was presented with this opportunity after Dan Stark, a member of SDA, was hit by a car while riding a bicycle near Stinson and Broadway in NE. The good samaritan stopped to help him just so happened to be involved at CW Lofts and, upon hearing his involvement with our organization, requested to partner with SDA to help redesign their outdoor space. 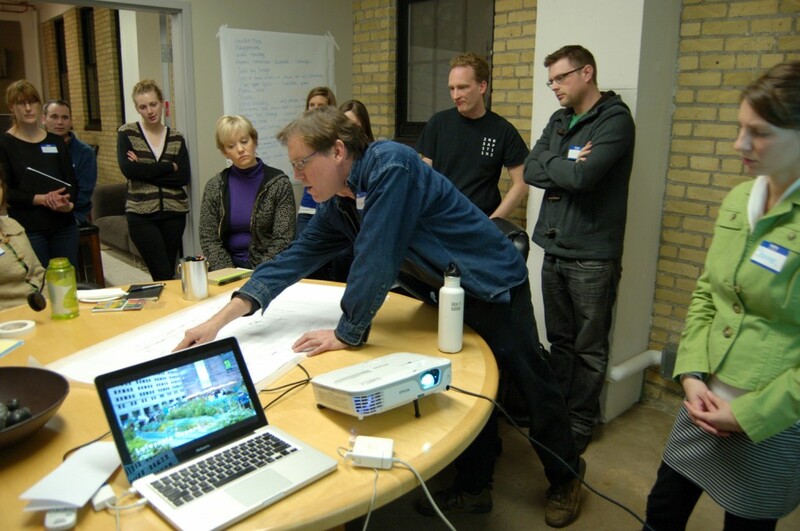 We took a big step towards the redesign of the space when we hosted a design charette with the residents and some of our own members. It was exciting to learn from the residents some of the history and current uses of the land. We were all interested to hear that railroad tracks used to run through the space and liked the idea of somehow alluding to that in the design. We hope to dig even deeper into the history of the building and incorporate old machinery or part of the building into the design. 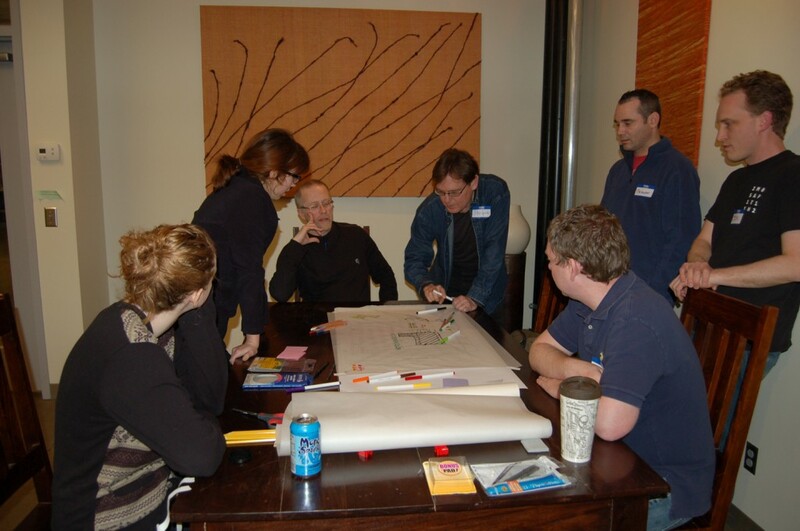 The residents came up with many great ways to improve the space that included such things as making the dog run more inviting, increasing the number of raised garden beds, and making the space more accessible to the rest of the Northeast Community. Together, we all came up with some great ideas and are excited to go back to CW Lofts for a second brainstorming session soon.